I arrived to a bedroom that I rented, for one week, through a phone app. My entire life was in my suitcase. Pictures of my family, my camera, a small flag of my country and my tiny Bluetooth speaker were the most valuable belongings I had. My wife, children, parents, brother, nieces and nephews, friends, house and 18-year-old chow-chow dog, Lucas, all stayed behind. During the first week, I worked during the day and tried to find an apartment to rent during my free time. 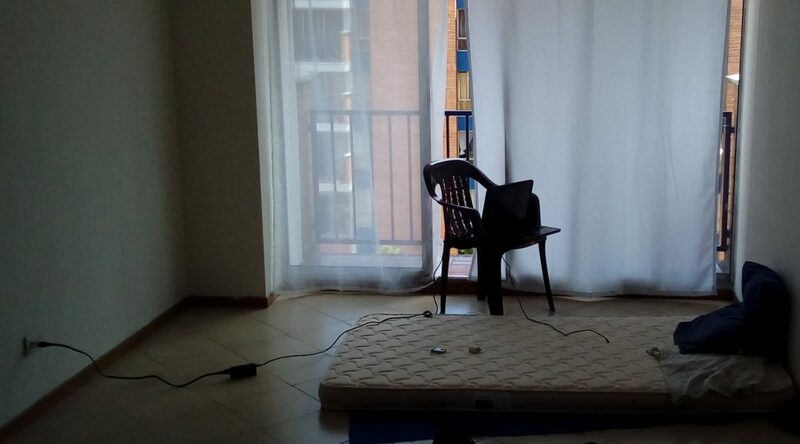 When the week ended, I did not have an apartment yet and I couldn’t have the room for another week because it was already booked by someone else. A hotel was too expensive. The homeowner was kind enough to let me sleep on his couch for one night, but the next day I would be kind of homeless! I was scared. I felt vulnerable. The next day, I was blessed to find an apartment near the Unbound office. The apartment was on the fourth floor with no elevator or hot water and lots of traffic noise outside, but it was a place that I could rent — and that was my primary criteria. I remember the first night I spent in my apartment; I only had one light bulb in the place, a plastic chair, a thin mattress to sleep on, my suitcase and an empty place that I hoped to call home someday. That night was long. I asked myself, “What am I doing here?” I could feel the cold of loneliness in my bones, I had nothing and nobody. I cried. I couldn’t get an Internet connection at home because no company would get me connected, so I couldn’t pass the time with videos or even call my family. I was a foreigner with no credit record, so the country deemed me untrustworthy to set up utilities. Suddenly I felt powerless, isolated, frustrated. 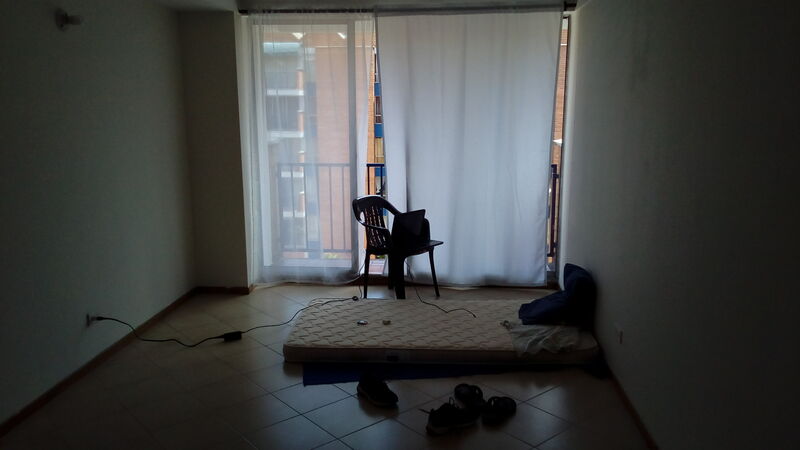 I started to hate 5 p.m. and weekends because it meant it was time to go “home” to an empty apartment with no connectivity, no close friends, no family, and at that moment, no reason to be there. Unbound isn’t just about the material benefits, it’s about being accompanied, to suffer with, learn with and be with people who, very soon, become a second family. 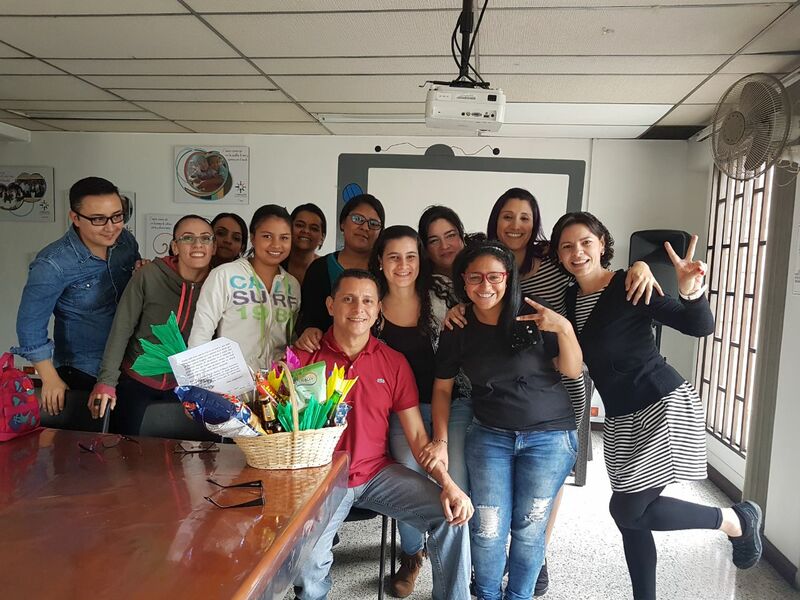 Henry, center, in red, being celebrated on his birthday by the Unbound Antioquia staff in Medellin, Colombia. I realized that this is what happens when someone sponsors a child, youth or elder. They are not only sponsoring the individual but their family, their hopes, dreams, goals, burdens and suffering. Sponsorship gives them the opportunity to be part of a community, which will take them by the hand to guide and protect them, like I experienced. Sponsorship is an opportunity for those feeling fragile, vulnerable and alone, to realize that they have opportunities and how to access them, and to feel accompanied by thousands of other sponsored families and staff members. They will feel warm and not cold, protected and not vulnerable, strong and not fragile. Unbound isn’t just about the material benefits, it’s about being accompanied, to suffer with, learn with and be with people who, very soon, become a second family. Sponsorship is an opportunity to share in the life struggles of people we didn’t know existed before, who live across the world. 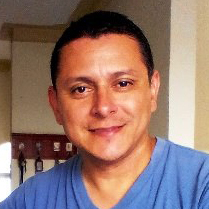 I no longer hate 5 p.m. and weekends, not only because my own family is now here in Colombia with me, not only because I finally got internet connected and bought a coffee maker to brew the amazing Colombian coffee, but because I know that the next day my Unbound family will be here, walking with and caring for me. The sponsored families will be here, offering their sincere love and friendship. And my colleagues will be here, inspiring me to be the best I can be.